OpenText™ | Media Management Application Security Hardening Guide - Open Text Web Solutions Usergroup e.V. 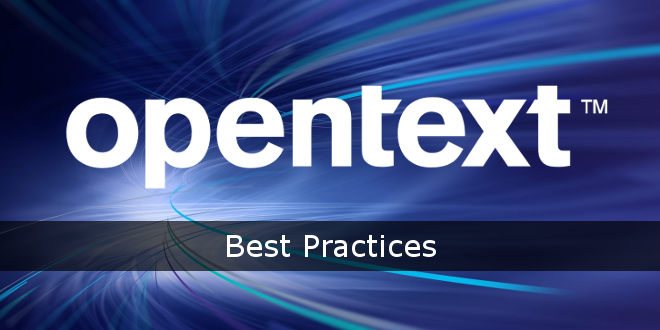 Every organization should analyze their security requirements and risk tolerance to define the requirements for their OpenText™ Media Management (OTMM) implementation. This document is a guide to hardening Media Management making the deployment more resistant to attack. It will help administrators to decide which configuration options they should choose to meet the needs of business users. It is important to remember that Media Management works in conjunction with other infrastructure service software. For example, databases, server operating systems, and web servers. This document focuses on the configuration of the Media Management platform only. The configuration of supporting software, services, and servers should also be reviewed to ensure that Media Management security is supported by a secure hosting environment. This document defines the options that are part of Media Management 16.0. This document includes the default configurations for each configurable item. It is important to note that systems upgraded from previous versions of Media Management (such as Media Management 10.5) to Media Management 16.0 will retain the configuration values from the previous version. However, it is a must to review the following sections in this document for version 16.